Jeanine Holmlund | Run S.M.A.R.T. Who Says You’re Supposed To Slow Down As You Get Older? 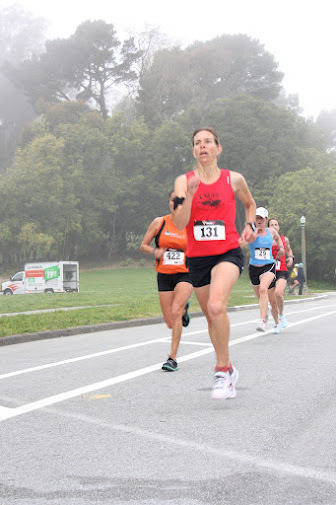 Jeanine Holmlund set a new 5k PR at the Zippy 5k in San Francisco, CA after following her personalized Jack Daniels Training Plan. The 47-year-old from Orinda, CA finished second in her age group in 19:23 (6:15 per mile). Full Results. Her PR coming into the race was 19:57 set back in 2010 and her time last year at Zippy was 20:18. Congrats, Jeanine! Who says you’re supposed to slow down as you get older?!?! ?